Well, Oscar time is upon us once again. UPDATE: I have added the Actual Winners as they are announced, and if different than my predictions, my response. My accuracy rating for this year: 19 out of 24 categories correct. (80%) Not my best, not my worst. A special congratulations to Juan in 2nd Hour, and Gabriella and Briana in 3rd Hour for most correct predictions in the film classes. This thing is a juggernaut. It’s this year’s Return of the King. 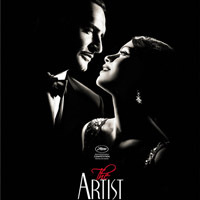 Based on the trailer, it’s a clever concept for a modern-day film, to play off the films of the silent era. I like that, so I agree. As much as I’ve heard amazing things about Scorsese’s Hugo, he already has his Oscar, and half of predicting is feeling out the politics of the game. Even Omaha native Alexander Payne already has his Oscar. And Woody Allen… I still haven’t forgiven you for Annie Hall besting Star Wars in 1977. I can’t be the only one who sees that all his characters are simply more attractive actors playing a variation of Woody Allen. Odds are, since the two categories only occasionally split, this one will go to the newcomer, especially with all the buzz around The Artist. Clooney has his. Pitt has several past noms, but Moneyball is not the film to finally clinch it for him. Oldman is amazing, but I don’t think this will carry enough with voters, and really I don’t know that this role is necessarily the one deserving of the Oscar. Demian Bichir gives a stirring performance in the trailer, but again, not known enough to beat down the momentum Dujardin has built up. This look seems to say "Between me and Glenn? It won't even be Close." This is where the Academy will make up for giving Supporting Actress to Penelope Cruz in 2009. Davis’ performance carries the trailer, so I can only imagine it does the same in the film. One might think Glenn Close would get some love with this being her 6th nomination without a win… but I don’t think Albert Nobbs will do it for her. Maybe lucky number 7 will be her winning charm. Response to Winner: Well… there’s that I guess. Sure Meryl has been nominated 17 times, but she’s also won twice. I mean, Streep does capture Margaret Thatcher quite well, but still. Sounds to me like the Academy is trying to make up for 14 losses with one more win, figuring Davis will be back in the future. That’s Academy politics for you. 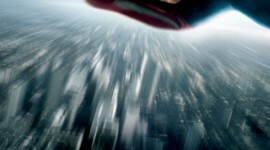 But maybe I’ll be surprised after watching the full films and agree with the decision. Time will tell. It's the year of the vibrant old-timer! First of all, how the heck did Jonah Hill even get a nomination? Seriously? I could probably sync the audio from the Moneyball trailer to his physical performance in the trailer for Night at the Museum 2 and not even notice. Lame, Academy. Nolte… yeah we’ve all seen the grizzled father/coach character before. You’re an Omaha boy, so I give you props there, but not the prediction. Branagh is great, but nothing award-worthy here. 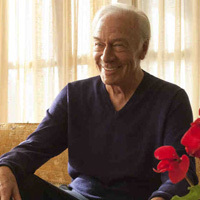 I had to actually double check to make sure Max Von Sydow and Christopher Plummer were not the same person. They both fit the same character type. But based on the trailer, Plummer actually talks in his film, and is one of the major characters, so I have to lean toward him. Seriously, I tried to find a picture where Octavia wasn't making this face... no luck. Here again, Melissa McCarthy? For an OSCAR nomination? 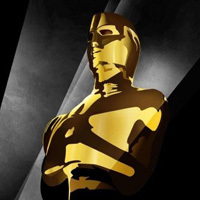 The Academy has traditionally snubbed comedies for its awards, and to see a nominee whose stand-out moments in the trailer include not being sure whether gas escaping from her body was a belch or fart, and talking about staging their own fight club…. it makes me think they need to be more selective in how they include comedies. 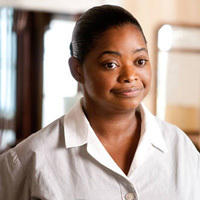 Although Bejo gives a cutesy performance, I think Spencer was a very enjoyable element of the trailer for The Help. She hugged people a lot. She gets my vote. Maybe if he wins, he can use some of that fame and fortune to see a chiropractor. Sadly Pixar released its weakest film to date this year (seriously, Mater is the Jar Jar Binks of the Pixar universe), so with only Cars 2 representing, it opened the field for others. 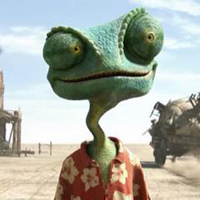 Seems like the buzz goes to Rango, although I’m a little over Johnny Depp, so that puts a little bad taste in my mouth. Really I thought the European contenders were more interesting in their style, although I can’t vouch for the storylines. I had no idea what was happening in Cat in Paris since the trailer was in French, but the animation style of Chico & Rita was the most interesting. This poster makes it look like she wants to leave her husband because of his horrible singing. The trailer for Bullhead was extremely weird. It had that “art for the sake of art” feel about it. Footnote looks like it would be the most enjoyable to watch, but that’s not enough to win an Oscar. In Darkness is about the Holocaust, which makes it the best contender for an upset. Monsier Lazhar is about a teacher, and although I am one, we’ve all seen the “new teacher steps in and turns the class around” film before, so it’s nothing new or noteworthy. 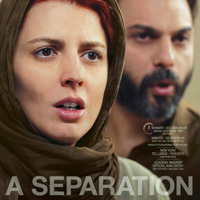 Not only did A Separation also get a Screenplay nod, it comes from a country which has a lot of global issues surrounding it. Disclaimer: Kids, don't try this at home! These two categories are where the Academy will and should show Hugo some love. The visuals in the trailer were stunning, and the look and feel it establishes really throws back to the early 1900s they were going for. Despite this frightening optical illusion, it's really an elegant film of dancing! Documentaries always seem so serious or depressing, but Pina has a unique and refreshing approach with all its fancy dancing. It had the only trailer that didn’t make me feel like I was watching the news. Response to Winner: Really? I thought the “inner-city football team with a crappy record that turns it around to grow not only as a team, but as people” storyline was already played out ever since Remember the Titans. Apparently the concept still has a few more awards left in it. I’m disappointed to see something so unconventional and unique as Pina leaving empty handed to an almost cliche idea. Ah the love between a boy and his horse... the PG kind of love. Political predictions would tell us that Hugo is going to pick up some sympathy nods in categories to compensate for The Artist sweeping everything else. Sound may be a place that this happens. 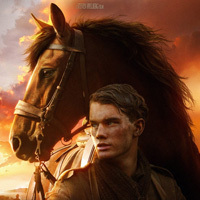 However, I’d wager War Horse has a good shot with all its battle scenes and that sweeping John Williams score. Transformers, although cool sounding, has already had its day, and the others just don’t have enough going on… although Drive could be a potential dark horse in sound editing. Response to Winner: I called it, but regrettably voted otherwise for the class competition. Again, I haven’t seen Hugo, so I’ll be curious to see if the sound truly is all that amazing comparatively, or if this was just a “sorry about Best Picture” consolation prize. 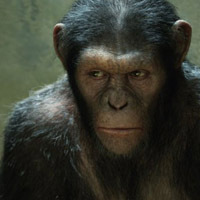 One word – Caesar. That will do it. Sirkis didn’t get his acting nom, but the effects still sell it. Transformers has been done, Real Steel is a rehash of Transformers, Hugo wasn’t effects-heavy enough, and HPDH2 was heavy enough, but it is the 8th film in the series. Response to Winner: Well, color me surprised. I figured the motion capture work in Rise… was good enough to take it. 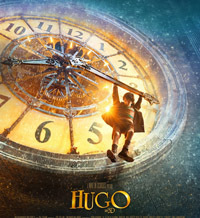 Apparently Hugo must be the most technically amazing movie ever (at least this year), as it’s sweeping the technical categories. 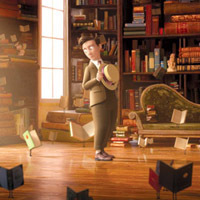 The epitome of book worm. Fantastic… Lessmore is definitely the most solid and comfortable choice, with its quality 3D work and clever looking story elements. The trailer for Morning Stroll, albeit quite abbreviated since it’s a trailer for a short film, had the most unique animation style of all the nominees. I would have liked to see it shake things up with that crazy multi-dimensional chicken. With only 6 days to live, this guy has some stuff to blow up and a tuba to play. Tuba Atlantic was the only one of these trailers to make me actually laugh and want to watch it. Time Freak looks quirky, but in a wannabe-Groundhog Day kind of way that seemed far too amateur for the Oscars. The others just didn’t stand out enough in my mind. 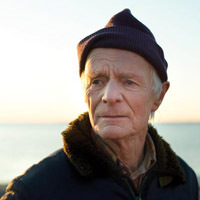 Response to Winner: To be fair, The Shore did have a pretty solid trailer, and had sort of an Academy-worthy feel to it, so I don’t really feel opposed to this winner, I just liked Tuba Atlantic better – probably because I have a soft spot for dying old people in movies. Frankly I think Jason Segel is a little of both. I saw the music videos for both these songs, and “Man or Muppet” definitely got stuck in my head the most. Plus it had Jim Parsons playing the human version of a Muppet, which is pretty accurate and hilarious. I’m a little sad these songs won’t be performed, as both would have a pretty interesting stage presence. Frankly I was just happy Randy Newman had no chance to win another Oscar this year. You're going to hear excerpts from this a lot as people walk up to the stage. I’m a collector of movie scores. The orchestral music underneath the film is what sells the emotional state to me, so this category is probably one of my favorites. It’s also extremely tricky for me to call. Williams is against himself in the category for Tintin and War Horse, but Tintin didn’t hook me. Hugo isn’t Shore’s best, and he’s won plenty before. Tinker had a really cool unique sound to it, sort of a blues meets The Matrix vibe to it, but this is a little offbeat for the Academy. 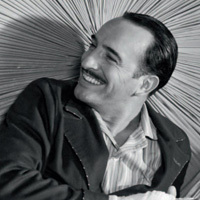 The Artist brings a unique composer with a pleasant sound, and in light of Williams’ multitude of Oscars already on his shelf, will probably take it. War Horse was the most moving of all the pieces I heard, and I’m a Williams fan, but Johnny-boy has his trophies, time for someone else to enjoy the moment. Alright Allen, you can have it. Same goes for you Payne & Co.
Usually goes to a period piece, but they’re all period pieces. Shot in the dark here, could go to Hugo. Again, sad, serious documentaries, but this one seems to have a stronger emotional tug. Here again, HP has had its day, and although Albert Nobbs turned Glenn Close into a man… well… she was halfway there on her own. Could go any which way, but I’m going to throw this on The Artist sweep pile. Response to Winner: Seems like Oscar likes the edgier stuff in this category. After Social Network last year, and Girl With the Dragon Tattoo this year, I’ll definitely be looking for the edgier piece in next year’s predictions. So there you have it. My trailer-based predictions. Maybe it will help you with your own office pool or class competition, maybe it just gave you something to read. At any rate, tune in to the Oscars and see what shakes down!